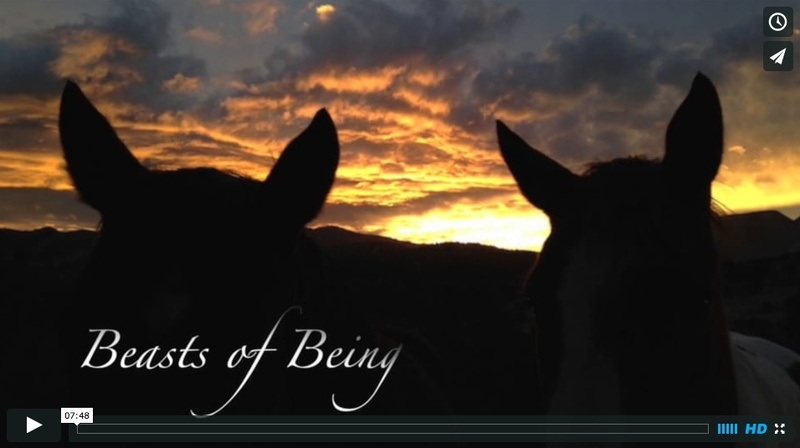 Beasts of Being is an umbrella idea for making horses newly relevant and recognized in the 21st century. It was first introduced at a weekend trail riding gathering of the Back Country Horsemen of Utah. My thanks to them for the invitation. This video introduces an idea I’m calling Beasts of Being: making horses newly relevant and recognized in the 21st century. Horses are disappearing from the world as beasts of burden. They’re still here, of course. But fewer and fewer have jobs. If I were to follow a logical course, I’d put horses in museums and zoos. Seems absurd, doesn’t it? What’s even more absurd? Horses are already there. The American Museum of Natural History produced The Horse exhibit seven years ago and it’s now touring the country. This year, at the zoo in Salt Lake City. Horses are on display. Ok, they’re mustangs. But we all know mustangs are domestic horses turned loose from their jobs some time ago. Three or four generations ago, there were 20 million horses in the US. 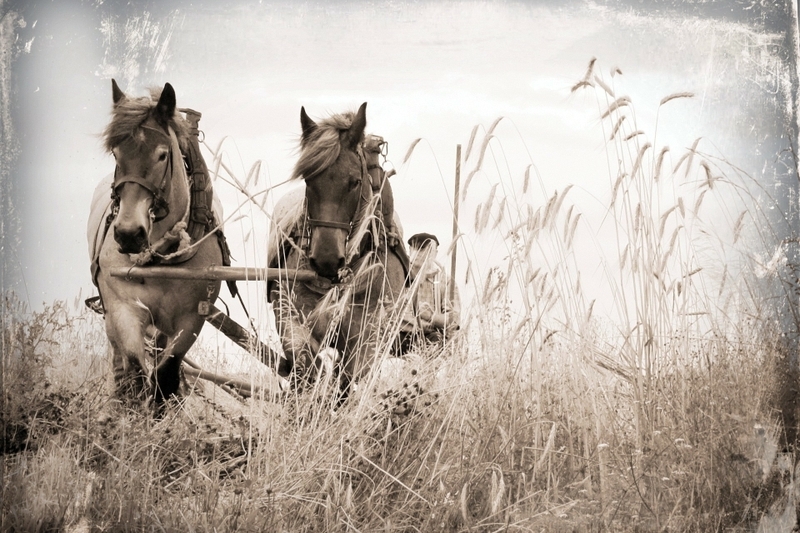 People started and ended their days on horseback or on a horse- drawn wagon. Nearly every American town has vestiges of those lives with horses. Old carriage houses and hitching posts have become remarks in travel guides. There are about 4 million horses in the US now. We’ve made huge advances. Yet, we are not categorically healthier and happier. Research shows what we’ve been shedding is valuable, even essential to our wellbeing. 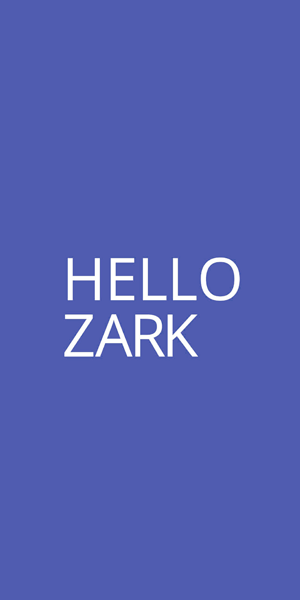 They are things that cannot be replaced by single-serving coffee machines, shiatsu massage chairs, lightning fast Internet connections, or thoughtful operating systems. Time outside. Time with animals. They are key factors in a crafting a vibrant life. As horsewomen and men, we know this. But do we appreciate this touchy feely part of riding? Or, do you kind of roll your eyes when you hear about yet another ‘incredible, life-changing encounter’ at one of those therapy outfits? Really, it’s like watching Casablanca when you’d really rather see The Good, The Bad, and The Ugly. Let’s ride already. Imagine you’re standing by your horse, with one arm draped over its withers. Place your face in his mane and smell that unmistakable scent. Notice how the sun glistens off its coat. Feel heat radiating from its thousand-pound body. Put your ear to the belly and listen to its incessant gurgle. Watch the movements of the ears and eyes. Those ears swivel independently; one might point forward to hear to the wind while the other one listens to you. 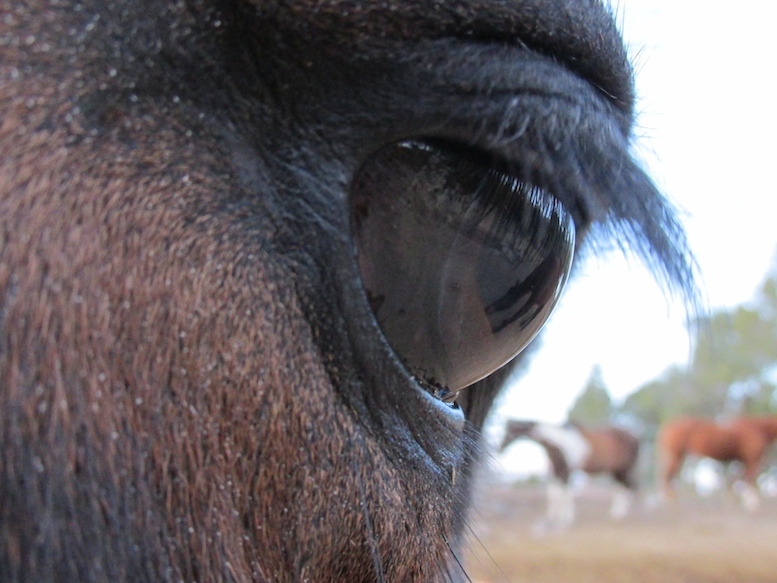 Those eyes are the biggest in the mammal world and horses’ field of vision is expansive, about 300 degrees. If you let yourself, it’s easy to become immersed in a horse’s presence. And that’s the thing, right? The immersion is therapeutic. Well, for us, the immersion is part of why we love horses and maybe we’re taking it for granted. We know it, but we don’t know it. 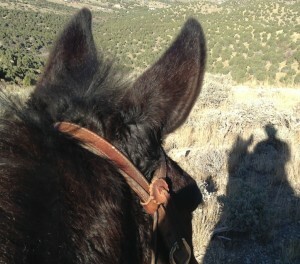 The other cool thing about engaging with horses is that you have to earn your partnership. With horses, we learn about respect, trust, consistency, and boundaries. They teach us and we teach them. It is very much a two-way deal. That, too, makes it valuable and worthwhile. And again, maybe we recognize this. But maybe we take it for granted, too. I think these two factors though are why horses are getting new jobs. They are transitioning from Beasts of Burden to Beasts of Being. Some might say horse time is no more valuable than gardening or listening to music when it comes to your well being. Sure, there are studies that show stress decreases with horse time. But there are probably similar studies associated with listening to music or gardening. You’re shaking your head, right? Because you know horse time is way better. But it’s true that we’ve kind of relabeled horse time as “therapy” for non-horse people. What we call horse time has been relabeled as equine-facilitated learning, equine-assisted therapy, etc. etc. But that’s ok, I say, because if we want horses to be around, they need these new jobs. I’m suggesting we consider the bigger picture for horses now and in the future. Let’s look outside our immediate circles. If horses are already ending up in zoos and museums and if cowboys and hunters are swapping them for quads, what lies ahead for our beloved equines? Horses are big animals and have no business in the city. In the city, folks tend to fit animals into their lives. They give them human emotions, outfits, and routines. You and your pet can wear matching pajamas. You can put a pooch in your purse and tote it around like an accessory. It’s hard to do that with horses. They’re big and don’t take well to being stuffed in boxes (stalls) or being given people patterns (like breakfast, lunch, and dinner). That a horse is a horse, as they say, is precisely why they’re effective in therapy. As urbanites look for ways to cultivate wellbeing, they may find it by escaping to the barn, not the gym or yoga studio. 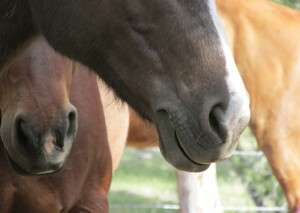 Horses, you see, can become relevant to city dwellers in their new roles as therapists, facilitators, Beasts of Being. These jobs don’t have to be reserved for special needs cases, as they are now for vets, autistic kids, and so forth. City folks will benefit from horses. 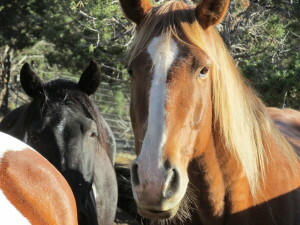 Horses will benefit from having knowledgeable horse people around. Heck knows we don’t want to see horses in pajamas. Oh, wait. That’s happening already. If horses continue making inroads as Beasts of Being, it will only help the greater cause of future horse relevance. At the same time, it’ll be increasingly important for us to embrace and educate those new to the game. This might be a new twist on advocacy and a push for inclusion and education. There’s plenty of horse advocacy already, of course, from the cowboy poetry celebrations, to mustang activists, to scores of associations lobbying for their unique horse or sport. They all have their agendas. What I’m suggesting is that we take a hard look at where we’re going as a society and make sure horses are in it, that we don’t simply to hold on to traditional roles and positions. Really, if you look at the numbers, it’s like trying to keep the sand in the top of an hourglass. Or, as Randy Rieman likes to say about horsemanship, if we’re not expanding our circle, we’re shrinking it. 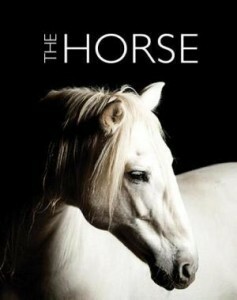 Welcome to the umbrella idea of Beasts of Being, making horses newly relevant and recognized in the 21st century. I love my kayak and spent years paddling whitewater. But then I added horseback riding — and eventually a horse became mine. Now when I paddle, I notice that when I run a particularly challenging section of rapids, it was fun, but it’s just me. My boat never gives me the subtle feedback that is a constant dialogue while I’m with my horse — through a hot day, are steep and gnarly section of trail, or any of the things that we do together, interactively, as a team. It’s just more because I do it in sync with another living being, move for move.